There are three reasons to prune: 1. safety, 2. to promote growth, 3. aesthetics. If your trees are overgrown, have some dead or dying branches, are shading plants below it, or they just don’t look the way you want, it may be time to prune. Proper pruning practices indicate that you should remove no more than 25% of the trees living branches per growing season. You should always try to keep branches with “U-shaped” attachments, as they are stronger than the “V-shaped” crotches. Removal of lateral growing sucker growth helps to promote upward growth towards the trees crown. Pruning can also allow more light to filter down to plants underneath the tree, stimulating their growth as well. Pruning helps to keep your trees healthy and safe for your family. It is the season to play outdoors; take a look at your trees this season and take note of any branches that look dead or dying. Dying limbs are a hazard that should be removed. Did you know that a branch quadruples in weight when it is wet? For instance, a branch that weighs 100 pounds will weigh 400 pounds during a rainstorm. With the many summer showers plaguing Atlanta, pruning to reduce the weight of your tree’s branches may be beneficial. Thinning your trees allows them to stimulate growth in the proper direction, heal wounds, and allows air flow through the trees. Air flow through the branches helps to reduce the risk of fungal infection and relieves pressure from wind during storms, lowering your risk of a fallen tree. 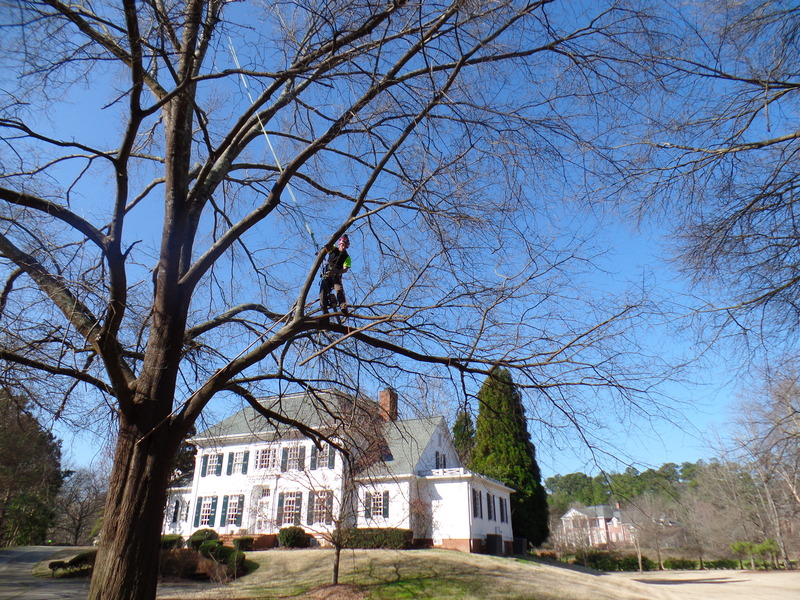 If you have concerns about a tree that may need pruning, give us a call for an inspection by a Certified Arborist. ← Why Invest in Trees?